This property is walking distance from the train station. 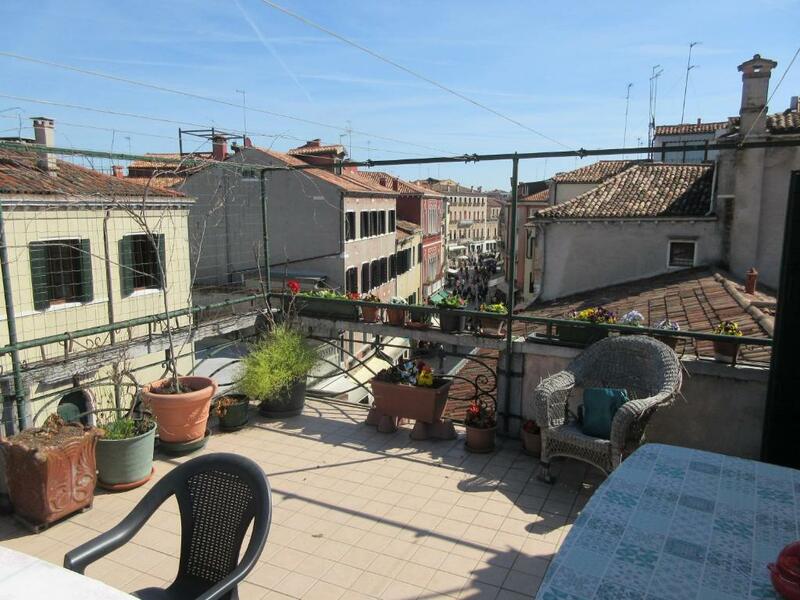 The room was very clean and had a terrace on the roof. It has plenty of room for our family of 4. There are gluten free restaurants and supermarkets less than 5 min walking distance. The welcome was excellent and friendly, very easy, as we were met outside the front door, and our host had probably waited more than 30 minutes for us. 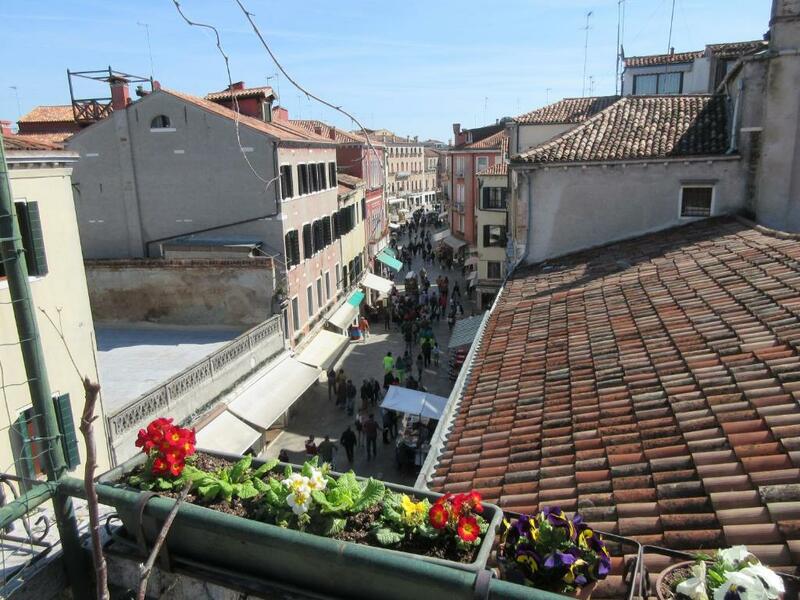 The apartment is in a great location, outside of the chaotic San Marco area, but with plenty of true Venice hustle and bustle around it. The terrace is magnificent in a kitsch Italian way. 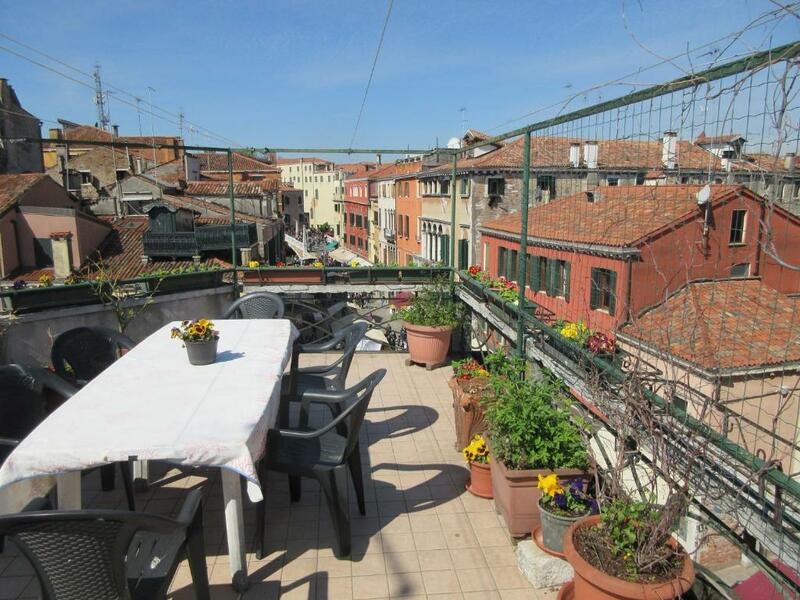 Fantastic terrace with spectacular view of the roofs of Venice. Very large flat with all the utilities one needs. Great location. Very friendly and kind host. Location is great. So much happening right below. You can walk to everything. Less touristy vibe. Grocery store really close There is a terrace. Very spacious. Comfy beds. The apartment is located very close to everything :) It is big, has 2 bedrooms and a huge dining room next to the kitchen. 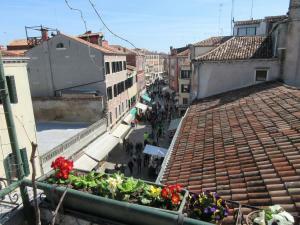 Also there is an access to the big terrace with a nice view on the street. We only had some problems with a smell that appeared when we were walking for a long time and the flat was completely closed. But opened windows helped to get rid of the smell after returning home. Everything you need in the kitchen you can find there. The key sender blamed me. I was late because the airplane was postponed and I notified to the host but the key sender complained and threat emerged. I loved the staff and the way we communicate before my arrival! Very good professionals! Lock in a great price for Venice Station Terrace – rated 8.1 by recent guests! One of our best sellers in Venice! 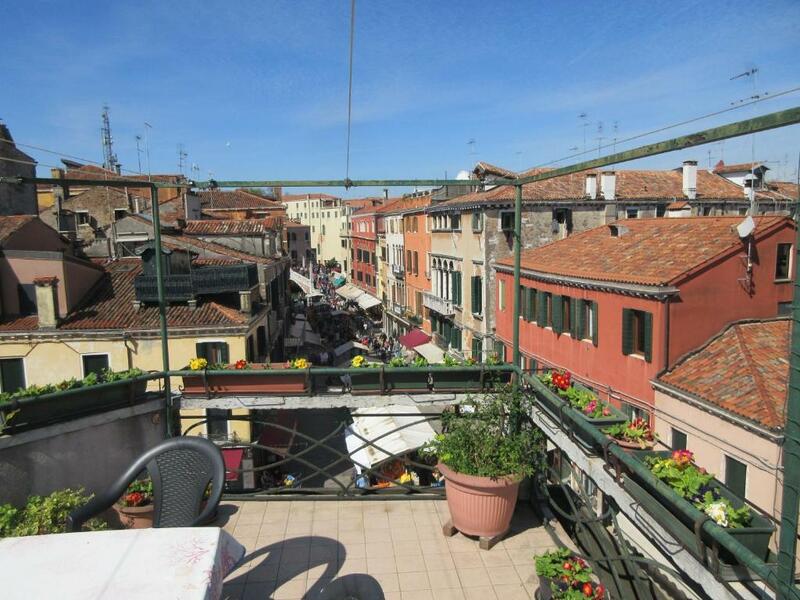 Venice Station Terrace is a property located in Venice, 1.1 miles from Rialto Bridge and 1.1 miles from Piazza San Marco. 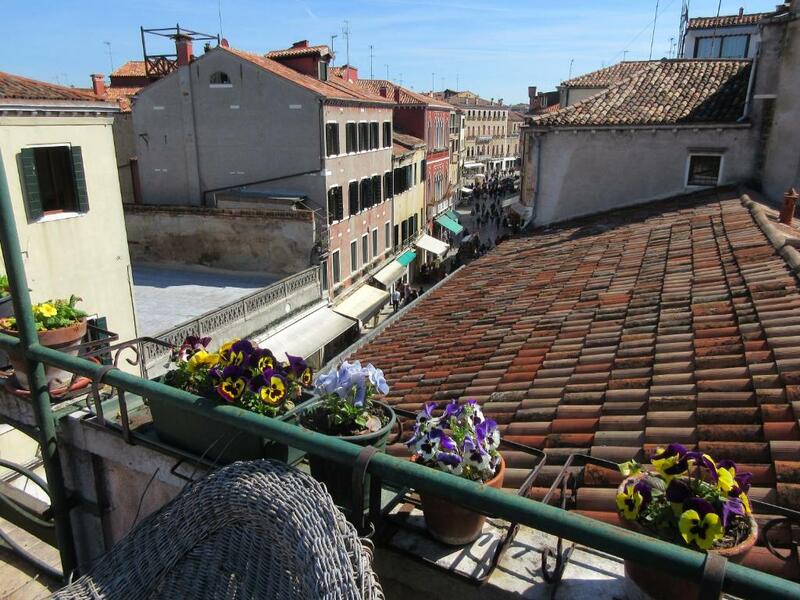 The property, housed in a building dating from 17th century, is 1.1 miles from St. Mark's Basilica and 1.1 miles from The Ducal Palace. The apartment includes 2 bedrooms, a kitchen with an oven and a microwave, as well as an electric tea pot. The apartment also has a seating area, washing machine and a bathroom with a bidet and a shower. 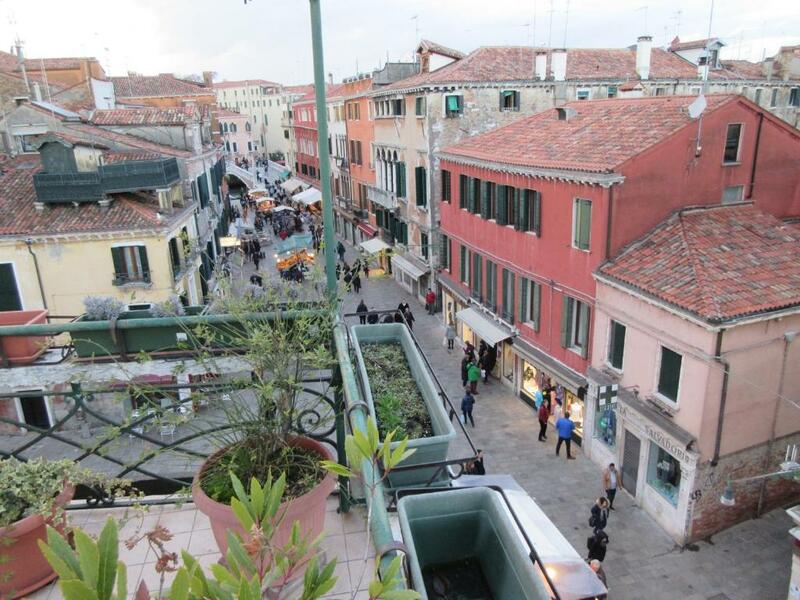 Basilica dei Frari is 1.1 miles from Venice Station Terrace, while Teatro La Fenice is 1.1 miles from the property. The nearest airport is Marco Polo Airport, 13 miles from the accommodation. When would you like to stay at Venice Station Terrace? Few steps away from train station (10 mins on foot - only one bridge to pass easily). 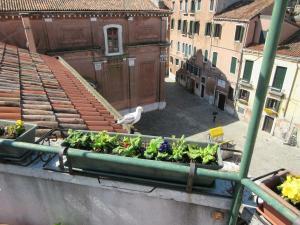 in the very hearth of Venice life, where venetians still live. Amazing terrace overlooking the main way to Rialto's Bridge and St. Mark's Square. Incredible supermarket at 300 meters, located into a restored "belle epoque" theatre. The apartment is at the second (and last) floor of an indipendent building, very sunny and with a wonderful view on the quartier. Area Info – This neighborhood is a great choice for travelers interested in walking, photography and sightseeing – Check location Excellent location – show map Guests loved walking around the neighborhood! House Rules Venice Station Terrace takes special requests – add in the next step! Venice Station Terrace accepts these cards and reserves the right to temporarily hold an amount prior to arrival. Please inform Venice Station Terrace of your expected arrival time in advance. You can use the Special Requests box when booking, or contact the property directly using the contact details in your confirmation. The bathroom was stink at first but we realized it was the second “toilet” that just needed some continued rinsing. As it is in a fun area, it can be noisy at night. To get to the apartment you need to go up some narrow stairs, so it would be challenging if you have a lot of heavy bags or any physical difficulty. We came late for the checking in as our flight we delayed 3 hours. Late means we checked in at 17:00. 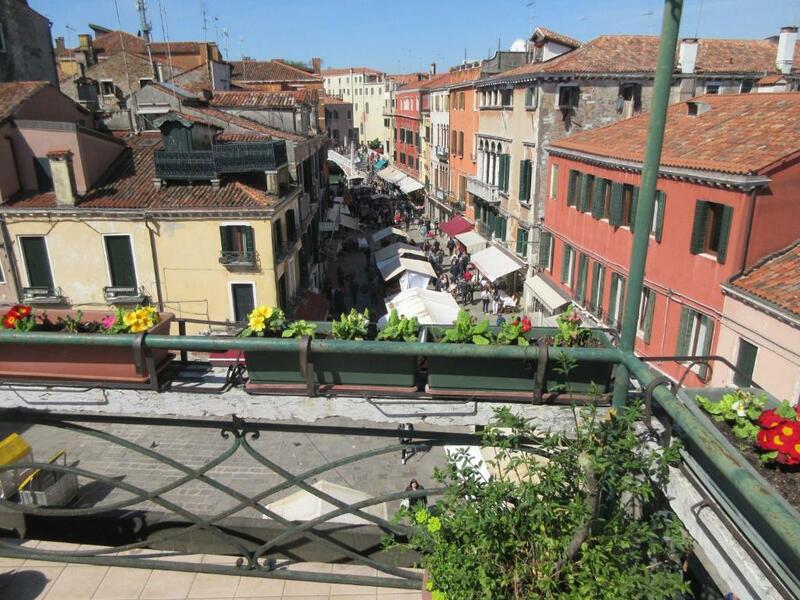 However when i arrived to Venice i saw that the owner sent me a msg saying that i lost my reservation and we are unable to check in unless we pay extra 20 euros, such a rip off!!!. Offcourse we paid because we were family with a kid so we had no choice. Such an attitude makes me never come back to this aprt. Italy is too hot, 2 fans are not enough! To many problems in the place and not a quick fix they new about the problems And just like taking tourists money. Check out is really early. Air conditioned doesn’t cover the hole area we had to open the window and deal with the noise and mosquitoes. The shower was cloth but host repair the next day.